The Hong Kong International Computer Conference (HKICC) has been organised by the Hong Kong Computer Society (HKCS) since 1978 to provide an open platform for IT professional in Hong Kong and the region to present their research papers and to share their experience. 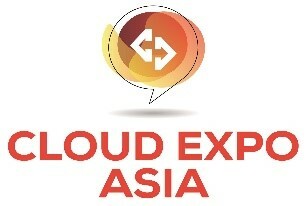 This annual flagship event is one of the best and most popular ICT conferences in Hong Kong. Near 500 delegates attended the conference of last year, representing a variety of local and overseas participants from public and private sector organisations, including renowned ICT professionals, academics, executives and senior government officers. The theme of our conference this year is “Capitalise on the Belt and Road Initiative through Digital Innovation”. Prof Wanbil Lee was invited by the Commonwealth Bank of Australia (CBA) present a paper at the CBA-CLP Workshop held at CBA's Innovation Lab in Hong Kong, One Exchange Square for the China Light & Power (CLP) on the topic: Data ethics - What to consider when using data, 5 June 2017. Professor Wanbil addressed the "CloudExpo Asia at HKCEC Hong Kong" on 25 May 2017 on the topic: "Data Ethics & Cyber-Security"
President Professor Wanbil Lee was invited to deliver a special seminar on Ethics and Information Security by the Club’s Head, Information Security, Mr SH Lim. This is a seminar jointly organized by Project Management Specialist Group, Hong Kong Computer Society (HKCS) & The Computer Ethics Society (iEthics) for members of both organizations, conducted by Prof Wanbil Lee. Prof Wanbil Lee was an invited speaker to the Inaugural e-Crime Congress, Eaton, Hong Kong, 11 June 2015. The theme of the conference is e-crime and information security, protecting data and managing risk. Prof Wanbil Lee was an invited speaker to the 16th Info-Security Conference 2015, Hong Kong Convention and Exhibition Centre 29 May, 2015. The theme of the conference is “Trusted Computing – A Security Oxymoron Or The Future?” where C-level practitioners, analysts and forward thinkers will discuss how the concept of trusted security is being built, who are the players, and the arguments for and against it. The conference will also look at key events and concerns that will undermine the concept of trusted security. Prof Wanbil Lee spoke to the Breaking Research A session om “Ethical Movement: An Alternative Anti-crime Mechanism in Cyberspace”, and participated as a panelist in the Track Panel B session: “Proven Steps and Missteps in Enabling Trusted Computing”. Invited by Prof Jesse Jin, National Laurel Professor, Prof Wanbil Lee spoke to Postgraduate students (in Software Engineering and Visual Arts) and staff of School of Computer Software, Tianjin University, China, 1 April 2015. Prof Wanbil Lee addressed Law students of the University on the topic Ethics and Law in cyberspace— a Techno-academic Perspective, chaired by Prof Wolfgang Zankl, Professor of Civil Law & CEO of eCenter. This lecture extends and supplements the seminar by switching the perspective from business to techno-academic. The lecture consists of two major parts. The first is connecting the computer and Ethics or Computer Ethics and the second is connecting the computer and Law. Prof Wanbil Lee spoke to a mixed audience of members of the Center (business professionals, lawyers and legal scholars) and Law students of the University on the topic Ethics and Law in cyberspace—a Business Perspective, along with Prof Jya-An Lee, NCU, Taiwan, Dr James Fry, HKU, and Prof NX Zhu, Jinan University, China, and chaired by Prof Wolfgang Zankl, Professor of Civil Law & CEO of eCenter. Prof Wanbil Lee presented a technical seminar: “What if you are accused of being unprofessional?” Jointly organized with Control, Automation & Instrumentation Division, Electronics Division and Associate Member Committee, 17 March 2014 (Monday), Seminar Room, HKIE Headquarters, Causeway Bay, Hong Kong. The seminar argues that being professional is impinged upon by professionalism which is grounded in ethical principles, and that the best defense is a real appreciation of the ethical principles and to conduct oneself according to them. The seminar illustrated some of these principles using a real-life case in Hong Kong, and presented some more cases for discussion. Currently, the Network has members in all EU28 member states and 34 OECD countries. Membership can only be earned, not bought; it is by invitation based on credentials and previous work achievements. Nous Global builds mutually beneficial partnerships and promotes the work of members, and can provide fast access to a cohesive network of respected experts, as well as quick expert reviews of draft reports and policy documents. Prof Lee was invited by Prof Paul Foley, Founder of Nous Global, on 6 October 2014 (http://nousglobal.com/about-us/featured-members/). Prof Wanbil Lee was appointed by the European Center for e-commerce and Internet law (the e-Center) (www.e-center.eu) to its Advisory Council in January 2014. The e-Center is one of the world´s leading think tanks for IT-law especially in the areas of e-commerce, mobile business and social media and operates in Vienna, Berlin, Brussels, Hong Kong, London and New York. Through contact points at central key international bodies, the e-Center advises and networks its partners and other companies on every continent through global research with 17 partner companies and with Contact Points and 60 advisory groups. Also, the e-Center is supported by an advisory board (http://www.e-center.eu/en/beirat) of prominent and highly qualified individuals who identify with the objectives of the e-center. Prof Wanbil Lee presented a talk to the Veneree Club (formed for the retired, senior members of the HKIE) at its monthly Tea Gathering on 18 September 2013. The aim of the talk is to alert the audience to the common abuses over the Internet, the possible ethical issues arise thereof, precaution, and so on, so as to introduce and promote Computer Ethics and the Society. Introduces a framework for dealing with the ethical dilemmas surrounding the computer and argues why it is harmful if not used ethically, why unethical use raises ethical and legal issues that should be taken into risk management consideration, hence why Ethical Computing matters to the netizens including the lawyers. by Prof Wanbil W Lee, 24 June 2013. Introduces Computer Ethics, and argues why it matters to the netizens including the teachers and students, by Prof Wanbil W Lee, 15 May 2013. Held on 29 February 2012, chaired by Prof Wanbil Lee and attended by Mandel chan, Francis Lam and Dr Hareton Leung.